Enriched with proteins, oils, vitamins and Gold powder! Our Nano Gold Protein renews and restores hair in one single step. Enriched with proteins, oils, vitamins and Gold powder with the power to renew your hair completely. Now, you can safely achieve straight, silky, smooth hair in one day with our miraculous product. 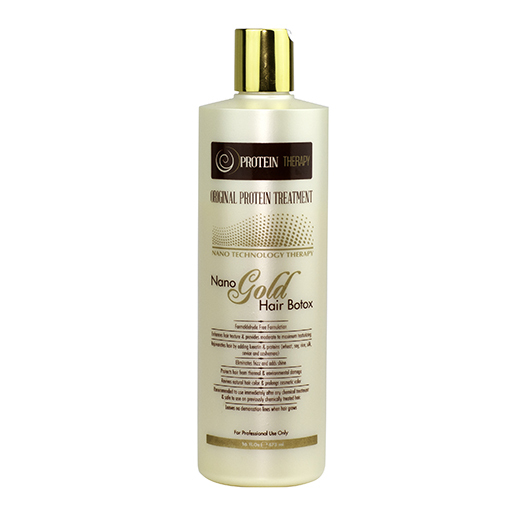 Nano Gold Protein is suitable for customers of all ages and all hair types.